originally, this was supposed to be the border for a photmanip wall i'm working on. it ended up being to tall and too complex, so i decided to make it its own wall. 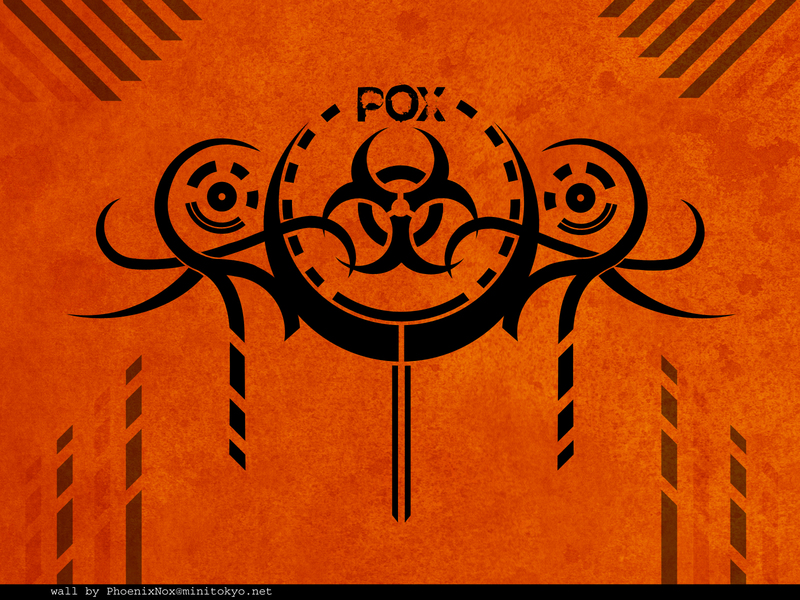 the dirty background texture is two textures from desktop anime, and the biohazard symbol is vectored from one i found on google. the font used is horsepuke, from misprinted type. total time, maybe 3 hours. didnt take long. used ps6. the title, "pox" is short for smallpox, the most deadly disease historically to the human race and in my opinion the thing most likely to wipe us off the face of the earth. have a nice day! other resolutions available on request. toxic pox-ness is awesome. hahaha. hazard for life.